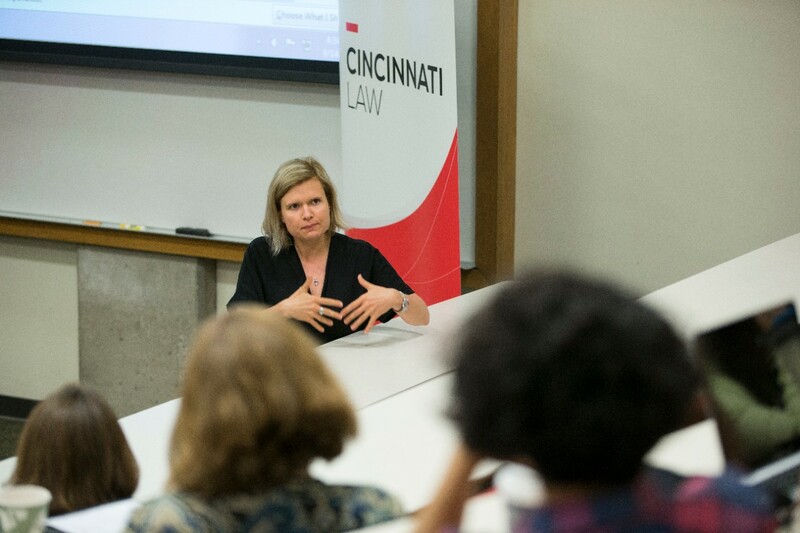 In recent years, the University of Cincinnati’s College of Law successfully has forged friendships with important universities around the world. One of those partnerships is with the Pontificia Universidad de Javeriana in Bogotá, Colombia. “JD and LLM students will be thrilled to learn about the new opportunities coming their way courtesy of our friends in Bogotá, including a chance to travel to Colombia," said Nora Burke Wagner, assistant dean for International Student Programs and director of the LLM Program. 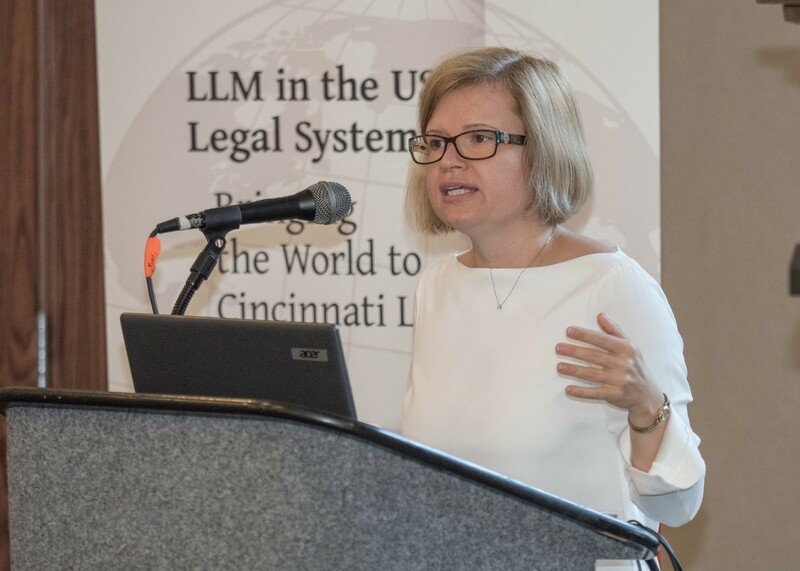 Ildikó Szegedy-Maszak, who is affiliated with Javeriana University, is returning to UC’s campus in August 2019 to teach her popular short course on International Trade. Szegedy-Maskas has worked for Baker & McKenzie Law Office Budapest Securities and Finance Practice Group and the Pontificia Universidad Javeriana Bogota Law School. “Spots for the highly-anticipated course are limited and interested students should sign up when registration opens on April 1," Wagner emphasized. At Szegedy-Maszak’s invitation, Wagner and Cincinnati Law professor Sean Mangan are organizing a spring break trip to Bogotá. The program is two academic credits and preparation will begin in Cincinnati. Students enrolled in the program will be invited to meet with Szegedy-Maszák for a primer on Colombian law and culture. “Anyone who has met Ildikó knows she’s brilliant and a lot of fun. She has a real knack for connecting with students, so our dinners and events with her are always a hit,” Wagner said. Also in the fall semester, students will have a chance to meet a second Javeriana professor, Lorena Vega. Professor Vega was selected to represent Javeriana as a visiting scholar through the UC International Visiting Scholar Program. She will be spending Sept. 7-14 on campus working with faculty and students and presenting a CLE lecture on the Colombian peace process. In addition to working with international law professors, students will also have an opportunity to experience Colombia for themselves with Professor Mangan in Bogotá. Students can look forward to spending the weekend experiencing cultural sites like the world-famous Gold Museum and Botero Museum and possibly visiting a coffee plantation. During the week, the program will alternate between collaborations with Colombian law students in an entrepreneurial endeavor, class sessions on topics such as international business law, Colombia’s growing technology sector, and Columbian financial regulation, and outings to private law firms, international corporations, and regulatory institutions throughout the city. Details on the spring break trip will be announced at an information session on April 8, 2019.